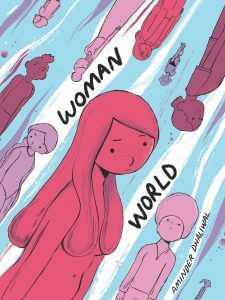 “The hilarious and wildly popular instagram comic about a world with no men. My boyfriend is in the military. I already admire him. And I get plenty of chances to miss him when he is deployed, especially when he was in the sand box for a year. Did I mention that my boyfriend is in the military? That “new kind of masculine” isn’t going to go over so well in a combat zone. And we’ve already got that kind of masculinity (or lack thereof). Ever hear of a Soy Boy? The feminist author is free to write whatever fiction she wants. Her product certainly won’t be making its way onto my bookshelf. This entry was posted in Culture War, Liberals/Democrats/Left, Media, Radical feminists, social media and tagged #thanksbutnothanks, Instagram, masculinity, soft authority figure, soy boy, war on men. Bookmark the permalink. Have these ignoramuses never read historical diaries and letters between examples such as Woodrow Wilson and his wife and John and Abigail Adams? Or any other historical writings, showing men to be much broader in their concerns and compassion than they had ever imagined? I think SOMEBODY needs to get out, …to the library. But even, most of these writings are free online now, so there is no excuse. I just can’t grasp the stupidity. Autobiographies are always a rich source of history also. Imagine, we don’t have to GUESS what they were thinking!! !They wrote it down!!! They are all about divisiveness in all its forms. Race, gender, class, politics, religion. It’s all about dividing people. First one must identify, then learn to “hate” anyone else. It’s more than a little scary how easily all this has been done. To actually get people to hate themselves for their race is quite an accomplishment. Sane people don’t do things like that. And it dies out in 1 generation.